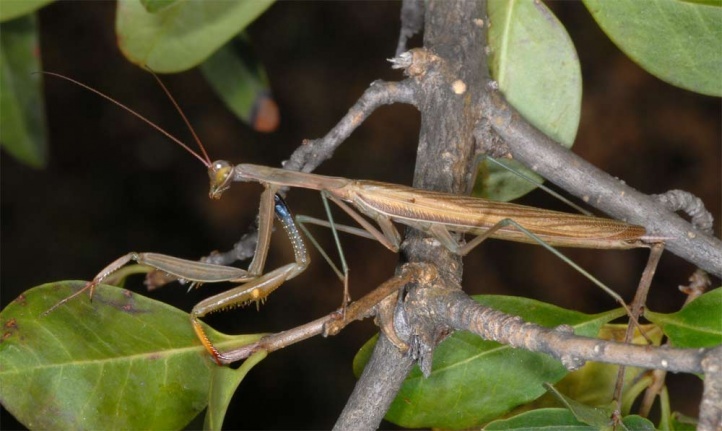 Predatory species that usually captures other insects. 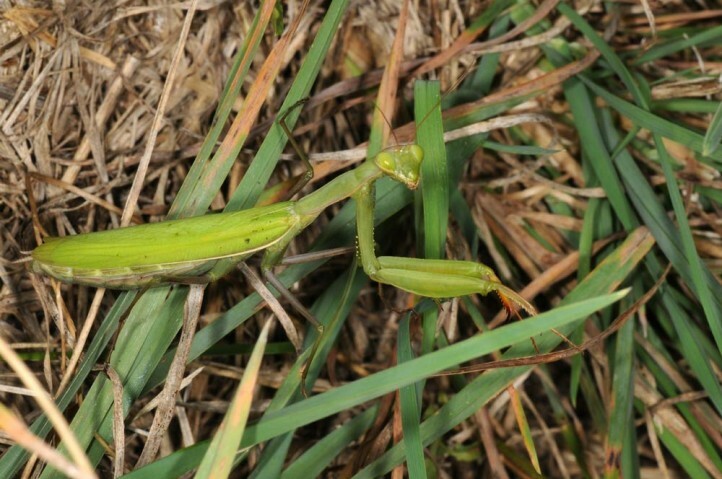 They rarely catch even small lizards. 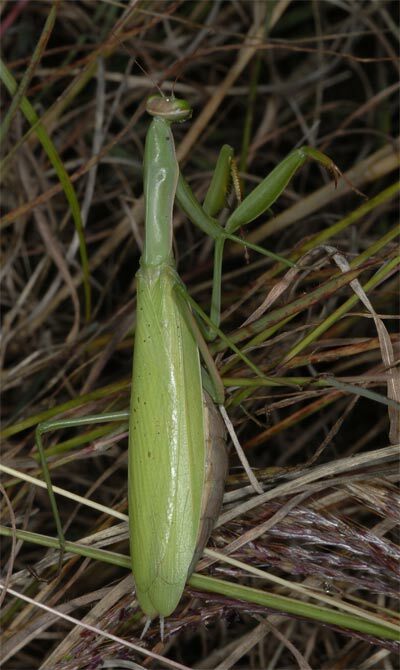 Mantis religiosa inhabits in Central Europe higher growing, bushy nutrient-poor grasslands and fallow land in xerothermous lowlands. 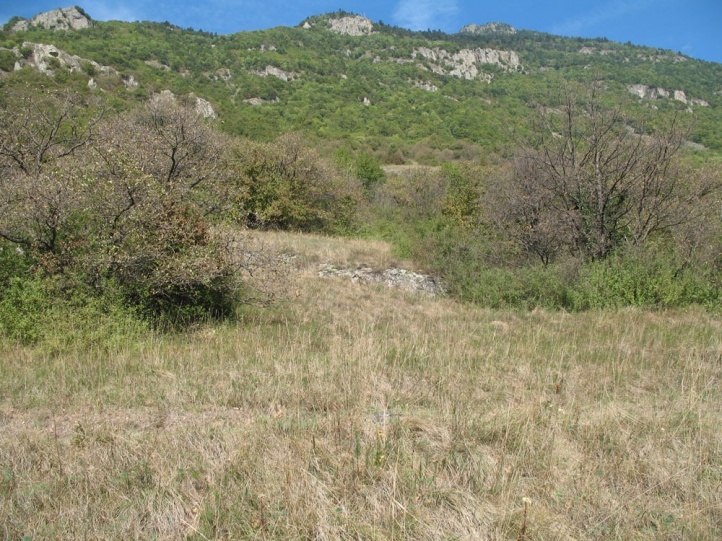 In the Mediterranean, however it occurs in almost all kinds of extensive open habitats with a strong vertical structure. 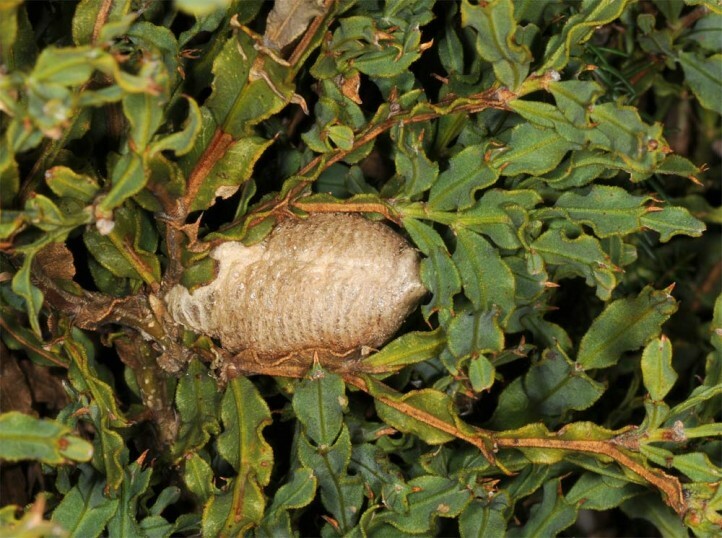 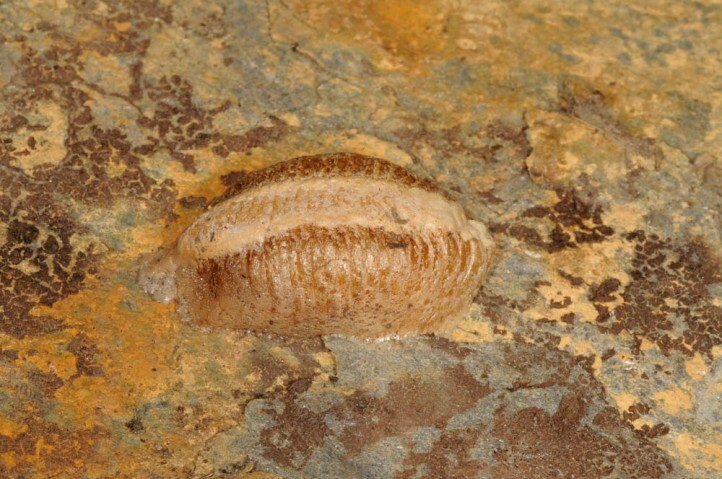 The eggs overwinter and be stuck in clumps (ooth) under stones or on plant parts. 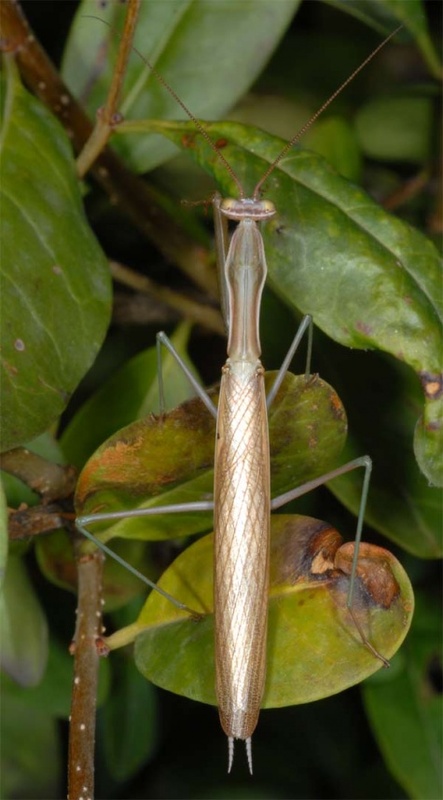 Adults appear from July to early November. 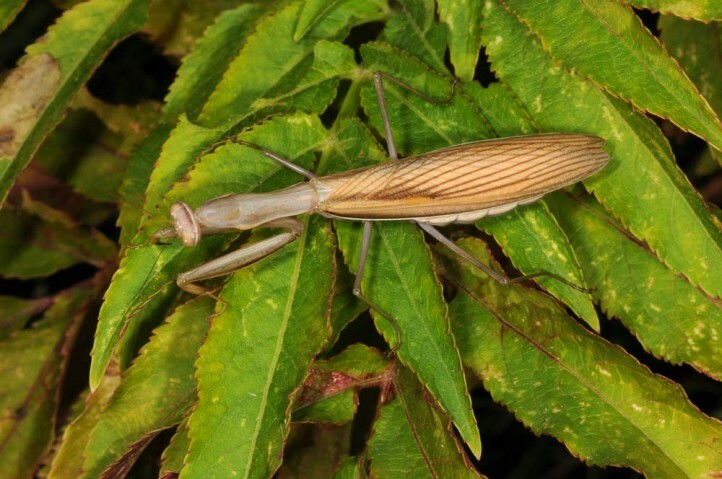 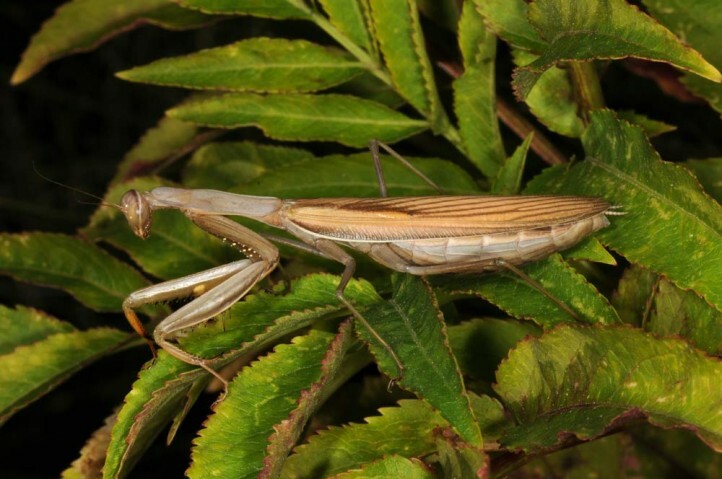 Mantis religiosa is restricted in Germany to the Upper Rhine and to some warm river valleys in Rheinland-Pfalz and here endangered due to the reduction of suitable habitats, the ever-increasing human land consumption and intensifications in viticulture. 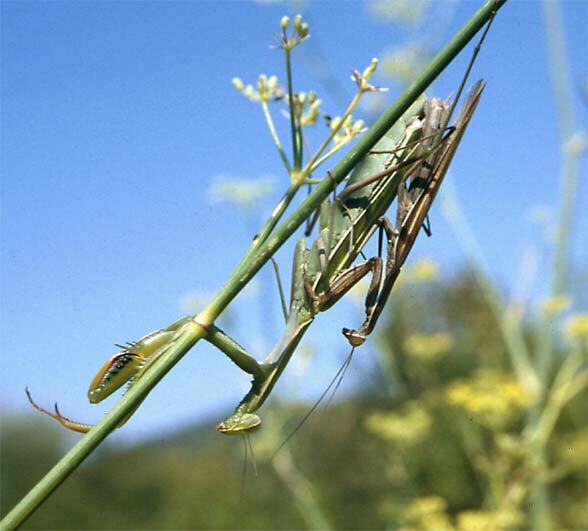 Mantis religiosa benefits, however, of global warming which leads to further spreading. 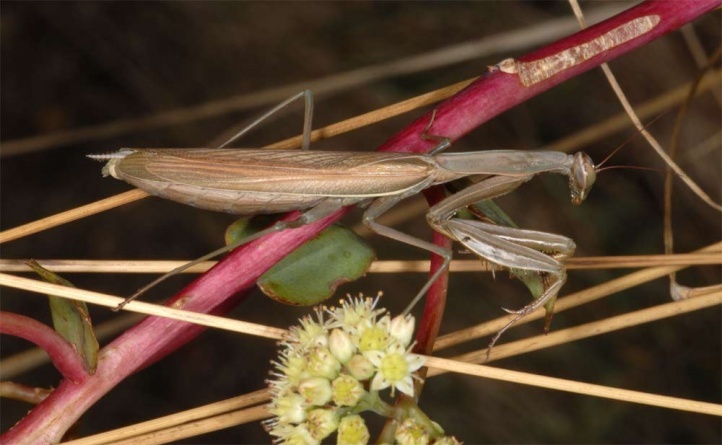 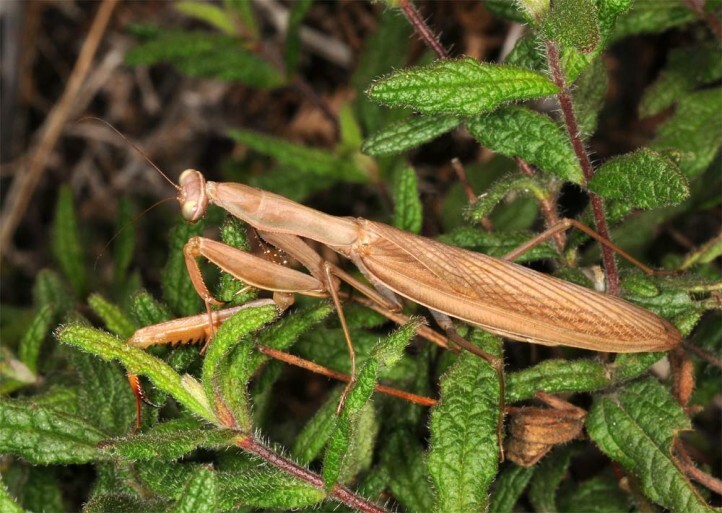 In the Southern Alps and the Mediterranean, the mantis is however very common. 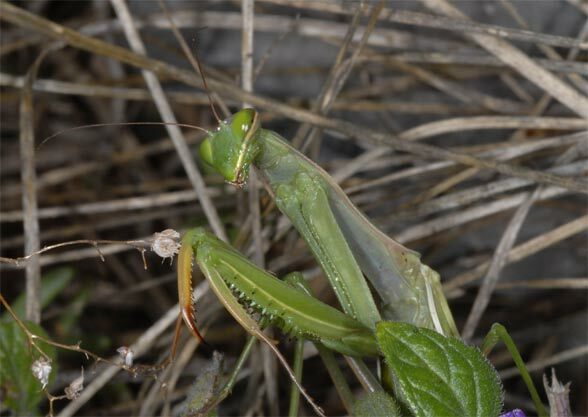 Mantis religiosa is widespread in many warm areas of the world: Africa, Asia, Australia, North America, south and Central Europe. 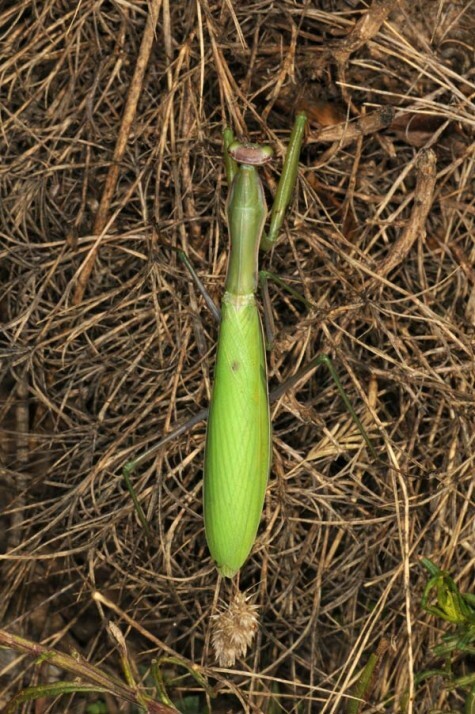 Overall, it is also spreading due to passive transporting.